Scoliosis is a complex three-dimensional deformity of the spinal column that causes structural changes in the three planes of the spine (frontal, sagittal and transverse planes) and may occur in all vertebral segments. 80-90% of all scoliosis are termed idiopathic or of unknown etiology. This group is further divided into infantile, juvenile and adolescent idiopathic scoliosis. The other 10-20% of scoliosis are of known etiology such as congenital, neuropathic, neuromuscular, or other systemic diseases. Today a new group of more or less idiopathic scoliosis is the adult scoliosis which is thought of as renewal of progression years after skeletal maturity. Dr. Varveris, DPT, believes that physiotherapy improves spine health, reducing the need for more aggressive treatment. Make an appointment with PhysioNetics in Naples, Florida to assess your scoliosis condition. A body free of scoliosis responds to gravity and motion with the brain keeping the spine straight through messages to the muscles and spinal support systems. A patient with spine curvature experiences miscommunication between brain and body, and the system breaks down allowing the spine to curve and remain in altered condition. Physiotherapy contributes to improved communications through the nervous system by both relieving pressure created by soft tissue and retraining body posture. The Schroth method—named for German physiotherapist Katharina Schroth—is a non-invasive exercise-based approach, designed to develop the muscular system to create a natural state for correcting scoliosis. Built around rotational angular breathing in combination with isometric exercises, the Schroth method is the most effective non-surgical treatment of scoliosis, kyphosis and other deformations of the spine. Focused around individual treatment altered to meet the particular needs of each patient, the method guides the scoliosis patient through a variety of exercises that straighten and centralize the spine after correcting pelvic alignment. Patients of any age or disorder level may benefit from the increased posture awareness, exercise positions and breathing that the Schroth method promotes. Dr. Varveris, DPT, is currently the only therapist in the United States who has received an international certification from the Katharina Schroth Klinik in Bad Sobernheim, Germany. Does PhysioNetics treat other spinal conditions? The Schroth method also helps treat kyphosis—extreme forward curvature of the spine—often in relation to osteoporosis in older women. Kyphosis may or may not have pain symptoms in mild cases, but severe examples produce both pain and disfiguration. Poor posture is one of the main causes of neck and back injuries. Forward head position and rounded shoulders contribute to poor posture. Any desk or computer employee has probably been guilty of poor posture at some point in their career and can attest to the fact that it's a hard habit to break. When incorporated into activities of daily living, body mechanics help decrease the amount of stress on the spine. Education in body mechanics is therefore essential in preventing the occurrence of neck and back pain. The goal of body mechanics is to learn how to move the body so as to prevent further injury. Awareness of common mistakes and proper principles can only help to achieve this goal. Our trained professionals can help evaluate your postural needs and assist with getting you information to modify your working environment and you daily habits to decrease the stress on your body. 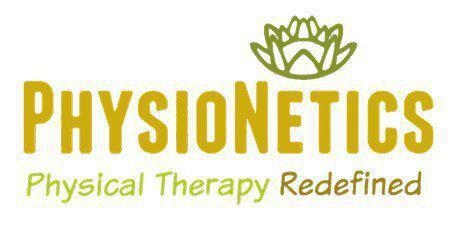 The PhysioNetics clinic in Naples Florida can also treat patients with other postural problems and abnormalities. Call or book a consultation online at PhysioNetics today to correct your postural irregularities. The practice is currently welcoming new patients. Dr. Varveris, DPT is a member of the ISST. For more information, please visit: https://www.scoliosis-rehabilitation.com.